1. 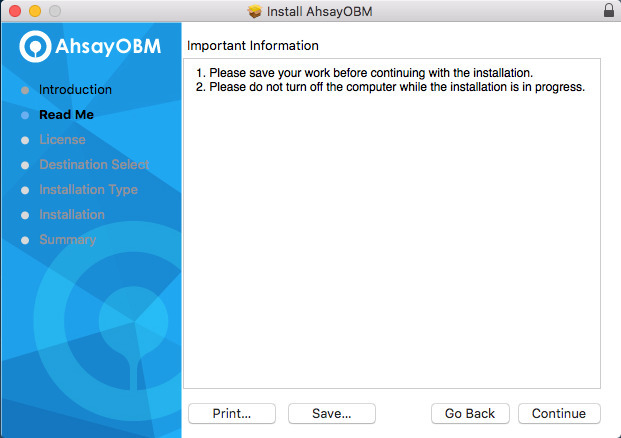 Double-click the icon of the AhsayOBM installation package .dmg file you have downloaded. 2. 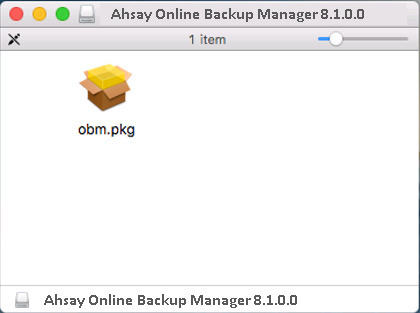 The Ahsay Online Backup Manager window will appear. You will see another file named obm.pkg. Double click on the obm.pkg file. 3. When the AhsayOBM Installer wizard appears, click Continue to proceed. 4. When the Important Information screen appears, read the information and then click Continue to proceed. 5. When the Software License Agreement appears, the agreement content will be displayed in English by default. If you prefer to read it in a different language, click up or down buttons to change the language. After reading the agreement carefully, click Continue to proceed. 6. The following message will appear in a pop-up window. Click Agree to accept the software license agreement. 8. The following message will appear in a pop-up window. Enter your Mac OS X login credentials. 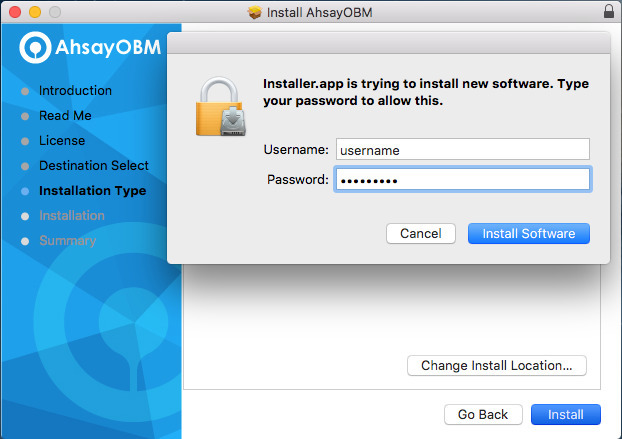 Then, click Install Software to proceed with the installation. 9. 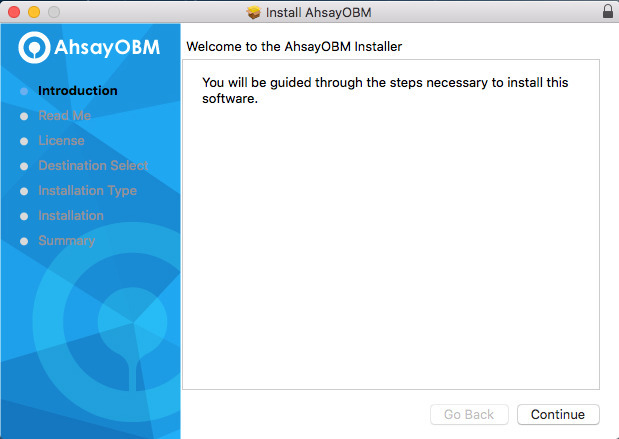 You will see the following screen when the installation of AhsayOBM is completed. 1. Double-click the icon of the AhsayOBM installation package .gz file you have downloaded to expand it. 2. 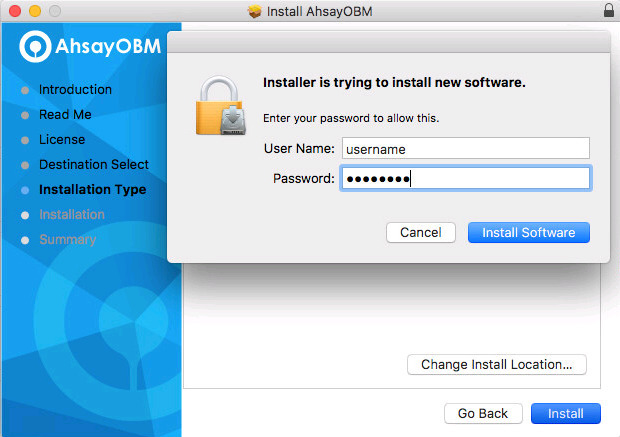 Double-click the icon of the AhsayOBM installation package .dmg file you have expanded. 3. The Ahsay Online Backup Manager window will appear. You will see another file named obm.pkg. Double click on the obm.pkg file. 4. When the AhsayOBM Installer wizard appears, click Continue to proceed. 5. When the Important Information screen appears, read the information and then click Continue to proceed. 6. When the Software License Agreement appears, the agreement content will be displayed in English by default. If you prefer to read it in a different language, click up or down buttons to change the language. After reading the agreement carefully, click Continue to proceed. 7. The following message will appear in a pop-up window. 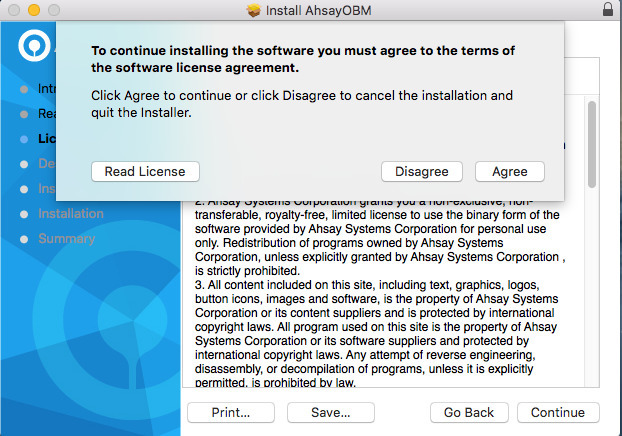 Click Agree to accept the software license agreement. 9. The following message will appear in a pop-up window. Enter your Mac OS X login credentials. 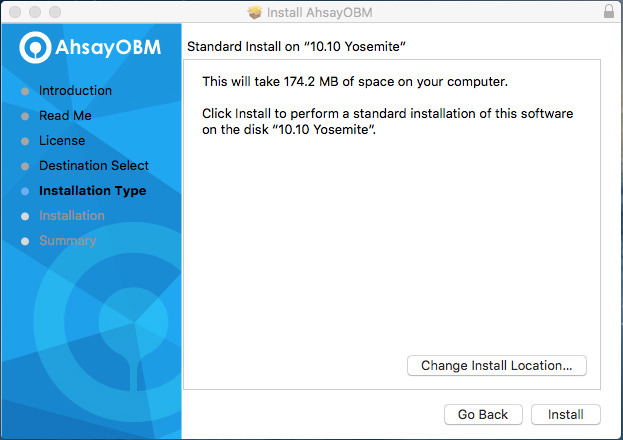 Then, click Install Software to proceed with the installation. 10. 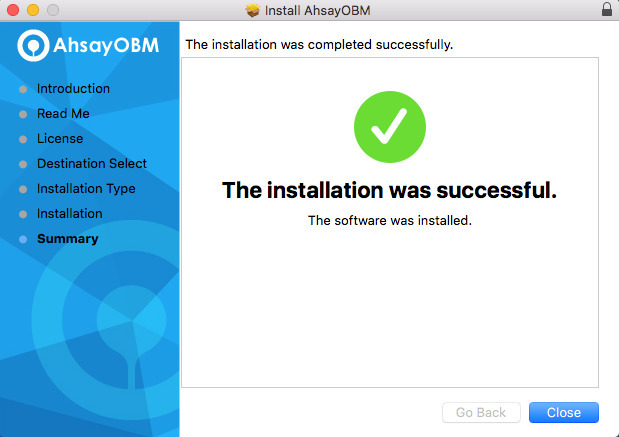 You will see the following screen when the installation of AhsayOBM is completed. More info about Ahsay you can find here. 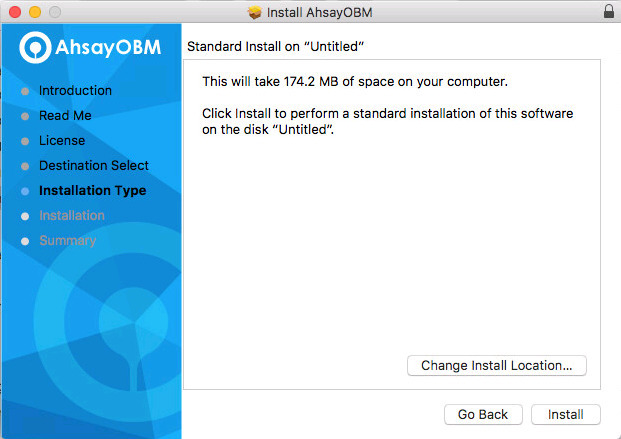 What is AhsayACB and AhsayOBM online backup? Bacloud.com – own data center operator, offering reliable services in Europe since 2005. Copyright © 2019 BaCloud.com. All Rights Reserved.